Used where the bonnet spacer rubber grommets are required. 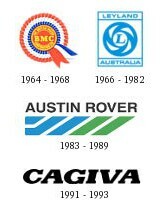 Standard part on ALL Portuguese and Cagiva models. Available within sub assembly HYK4209 and HYK4209A.